Tuesday. Metcon, 5rds of: 4 power clean (80kg), 8 hspu, 12 box. Time, 8.16. 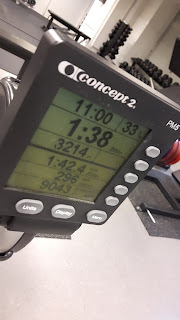 Intervals, every 3:00, for 24min: 400m row. My legs have felt tired in the past week or so. Since I put up with that 4 emom workout in Tallinn, Estonia, these trunks have felt sore the entire time =) It's been kind of funny but I have still put more pressure on those on a daily basis. I'm very happy on the way I have still been able to perform. Tomorrow's most likely gonna be a recovery day as there are some things to be taken care of. 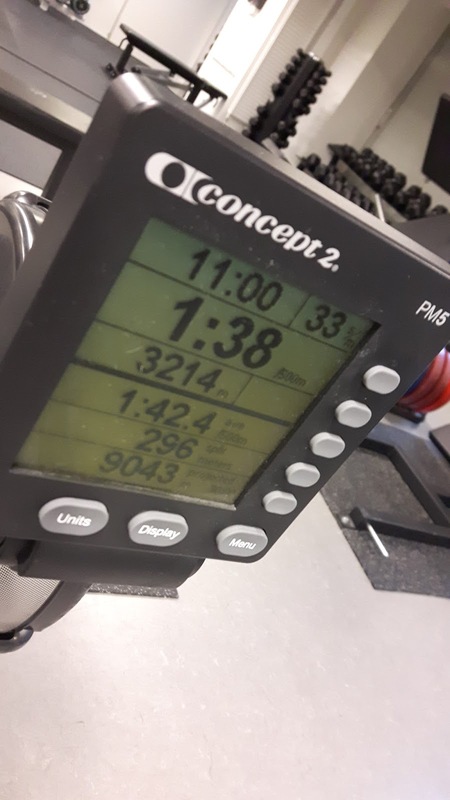 Main goal for today was the rowing intervals. This one got added as an extra piece before those sprints. It was a good conditioning piece for sure. Cleans were quick singles from the first round on. Those started to burn my lower back somewhere in the middle of the workout. Handstand push-ups felt great all the way. Those were unbroken each round. Last round was tougher but still manageable. Could have still continued for some 1-2 rounds unbroken I'd anticipate. Box jumps felt surprisingly tough on the legs. Felt a good fire in my thighs. These unilateral workouts with just rowing included are challenging. Both lungs and lower body are taking a good hit during this type of wods. My pace remained consistent which was one of the main objectives of the workout. It was something like 1:17 or 1:18 most of the time. Fastest time was 1:15 and the slowest was 1:19 or 1:20. That means to say the pace was somewhere around 1:40/500m. Holding on to this pace meant the work / rest ratio was something like 1.20 / 1.40. In the beginning it felt abundant but after mid-workout recovery started to play a role. Still, the pace stayed where it needed to be so I'll take this with pleasure.